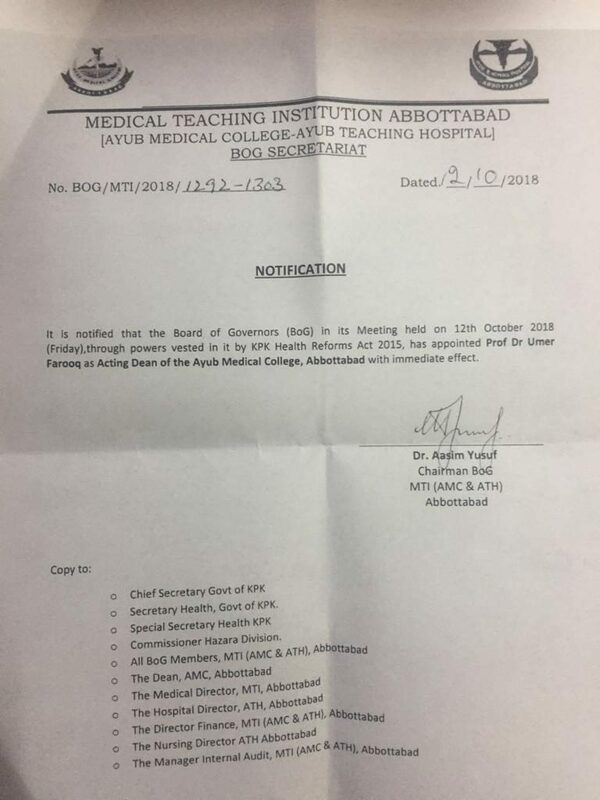 Important Note - Ayub Medical College, Abbottabad. If a candidate remains absent at the time of interview for admission, he/she will lose the right of admission in Public sector Medical/Dental Colleges of Khyber Pakhtunkhwa. Any quota/reserved seat remaining unfilled till one week before the final closing date of admission will be filled through open merit. If at the time of interview, an eligible candidate is not present for any quota/reserve seat, the seat/seats will be converted to open merit unless a very genuine reason for absence from interview on the due date is present to the Chairmen Joint Admission Committee at the time or within 24 hours after the date of interview of the candidate, who will have the final authority to decide the case on merit.